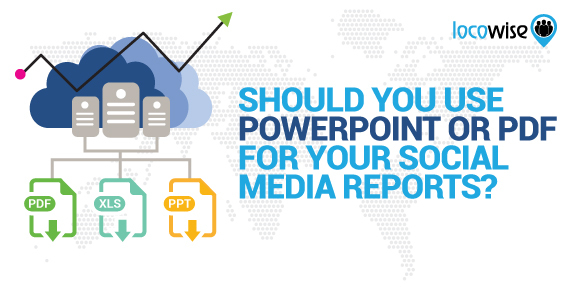 Should You Use Powerpoint Or PDF For Your Social Media Reports? Today, almost every type of digital service migrates to the cloud. Yet, different file formats and keeping track of them is still an issue even big digital marketing agencies face. If you are a social media expert, you might often find yourself pondering which file format is best for your social media report. Should you send your audit as a PDF report or an MS Powerpoint presentation? Should you keep your data exported in an MS Excel file for archiving purposes? We’ve recently discussed the huge impact instant social media reports can have on your business. Improving productivity and helping you receive valuable insights about the social media performance of a brand, reports and audits are a highly useful tool that makes the digital marketing process that much easier. However, when it comes to agency archives, client reporting and team evaluation, what file type should you use for your report? Here at Locowise, we try to offer a diverse range of options, including instantly downloading and saving your reports in Powerpoint, PDF or Excel formats. The first and second option are direct visual representations of the data, while the third option exports the social media data into a sheets file you can later use to create your own graphs, charts or import for use in other tools. But which format should you use for each particular case? Should you send your clients PDF reports or complete PowerPoint presentations? Maybe both? While opinions might differ and this highly depends on the current workflow process of your agency, we decided to give our take and hopefully help you out with a few insights on how and when to use the different file formats that are available with our instant social media reports with Locowise. Without further adieu, let’s get started. PDFs are Documents – Best for Quick Email Updates! PDFs are one of the most common document formats available. With the ability to be easily opened by a huge number of apps, including the most popular Internet browsers, PDFs are the weapon of choice for most marketers. One of the biggest strengths of the file format is that it looks as good on mobile as it does on a PC. 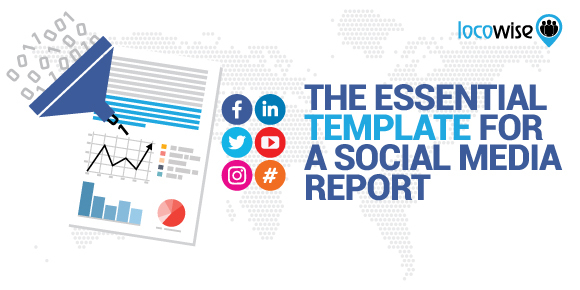 In a clear-cut document fashion, a social media report sent as a PDF can be easily emailed and shared with clients without the need of any additional adjustments. 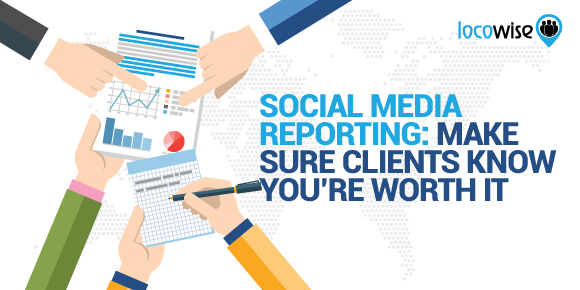 Downloading a social media report in this file format, you will be able to easily update your client with the information you deem fit. With Locowise, for example, downloading a PDF report on a brand, you will be able to share updates of the social media performance with a client in just a few minutes. While this is also true if you export the data in a PPTx format, the powerpoint file might prove to be a hassle for your client. While most businesses have access to presentation software, opening and viewing files as presentation does not provide with the best experience on every device. What’s more, there’s also the idea of the “professional” expectations factor. There are certain untold laws in every industry that play a role in how a client perceives a certain work. While a file format might seem negligible, it does have a certain impact of the perception of a report. For example, you wouldn’t expect to receive the logo of your company in a PPTx file. If a designer sends you the work you’ve hired them to do in a file format that does not correlate to the most common types of design files, you will be confused even if the work is exemplary. You might even require them to resend the file in the appropriate format just to clear the confusion. It’s the same with social media reports. When expecting to receive a report, a client usually refers to a document. Even if based on the visualization of data, both a report and an audit are expected to be received in an the appropriate file format for documentation. And the most common format is PDF. Thus, even if you’ve created your own custom social media report based on an Excel export of the data, your client will end up being confused if they receive the report in an Excel file format. The same stands true for PPTx and presentations. Of course, that doesn’t mean that a PPTx export of a social media report is not useful. Quite the contrary. Depending on the size of your digital marketing agency, you might often need to present monthly or quarterly reports related to the social media reports of a brand. Working for bigger brands on specific social media campaigns also often involves presentations in front of a board or even for bigger events. In fact, you or your client might even be required to share the social media performance of a campaign via a presentation in front of the investors. In this case, exporting the social media report in a PPTx is the perfect option. This is slightly similar to the PDF social media reports. When you are expected to make a presentation or if your client is expected to make a presentation via your report, the best way to move forward would be to share the data via the most popular presentation format. In this case, this is the PPTx. Nevertheless, there are other uses for PPTx social media reports. While Locowise does allow you to customize the colors and the reports and the audits to an extent, you might want to have better creative freedom over the design of the report. One way to do so would be via export the report through PPTx, making your design changes and then exporting your customized PPTx file into a PDF. With the design options that MS PowerPoint provides you with, you will be able to easily tweak the reports to your visual liking before sending them to the clients. Last, but not least, you can just as easily export and download the social media data Locowise provides you within an Excel sheet. By doing so, you will be able to create your own graphs, charts and use the data with other analytics and insight tools and much more. With all the available data in an easy to access MS Excel file, you will have the opportunity to take advantage of some of the most powerful data-centric tools that might help you out with your social media performance strategies. Nevertheless, for the most part, an MS Excel export is not that much more useful on its own. Some agencies do create their own unique reports via this data in a streamlined process, but this might not prove to be a useful strategy. However, there are still some advantages in the use of MS Excel social media reports. For example, they are one of the best ways to keep up an archive. While Locowise does allow you to select the dates for a report and thus making the need for an archive rather obsolete, a digital marketing agency might still want to have their own backup of the archived data. What’s more archiving and backing up data in MS Excel file formats also allows for certain period data performance comparisons in a unique manner. In fact, there might even be some company-specific algorithms some agencies might use to analyze the data themselves, thus proving that the MS Excel export option is still helpful in certain cases. Depending on the specific case for your social media report, you might want to export the data in a file format that best fits that particular case. 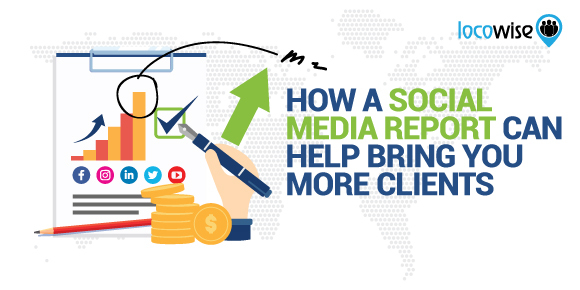 What’s more, depending on the size of the social media marketing campaign, you might need quick report updates that don’t even require the export of your report. Nevertheless, keeping multiple files for backup might be your best bet. Whatever the particular scenario might be, one thing is certain. Multiple export options are always the better choice and when presented with the opportunity, creating a report in multiple file formats seems to be the best option. Whether you’d want to backup the data, send a report to your client or make a presentation for the social media performance of an agency, Locowise is here to help. With multiple export options at a one click distance, you won’t ever have to worry about your file formats ever again. Learn more about all the social performance measurement and report features of Locowise and sign up for a free 7-day trial right here! You can ever try a free social audit and social media report in both PDF and PPTx!